from South Gippsland, Vic. 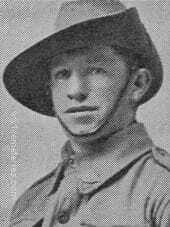 Pte O'Day enlisted on 1 July 1915 and embarked aboard HMAT Karroo in Melbourne as an Acting Corporal, on 18 September 1916. 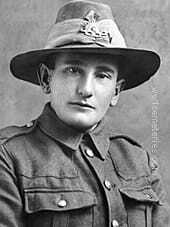 Lance Corporal O'Day died of wounds received on 29 September 1917 at Ypres, Belgium. Son of Alexander and Agnes Paton; husband of Juliet P. Paton, of Bellerive, Hobart, Tasmania. Native of Hobart, Tasmania. Died at No. 3 (Canadian) Casualty Clearing Station from wounds to the left shoulder, forehead and jaw. "Zonnebeke, up on the hill, he was hit by a shell, shoulder and head. taken to 3rd Canadian Dressing Station, Poperinghe, this was the 27th October. I went down on the same ambulance, the doctor, seeing the same colours on us told me not much hope, shoulder blown away and wounded in the head. We were in the same battalion and I knew him well." 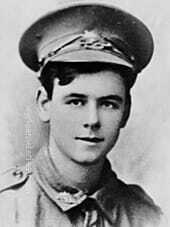 ​9th October 1917, aged 22. Son of William Pearman and Margaret Payne of Coldstream St., Elmana, Clarence River, New South Wales. 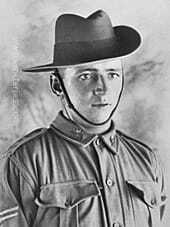 LCpl Payne had spent three years in cadets and two years in the 12th Infantry (CMF) before enlisting in March 1916, and left Australia in September 1916 with the 15th Reinforcement group for service on the Western Front. He sustained wounds in the face and neck during the 18th Battalion's attack on Poelcappelle on Passchendaele Ridge on 8 October 1917, and died the following day at the 10th Casualty Clearing Station at Lijssenthoek. 22nd September 1916, aged 36. 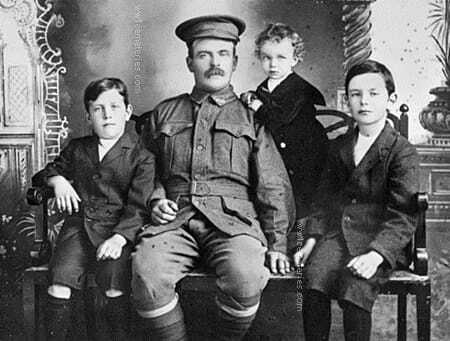 4551 Private (Pte) Thomas William Pearson, 10th Battalion, of Kadina SA, and his three sons. A farmer prior to enlistment Pte Pearson embarked on HMAT Miltiades (A28) on 7 February 1916. He served in Palestine and the Western Front and was promoted to Lance Corporal (L Cpl). 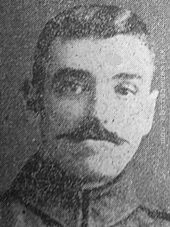 On 22 September 1916, L Cpl Pearson, aged 36, died of wounds received in action in Belgium. On the right is Rex Whiting Pearson, later member for Flinders from 1941 until 1951, and a senator until his death in 1961. The youngest son is Howard Pearson who became a Methodist minister and missionary in New Britain. Following the Japanese invasion of January 1942, he was taken prisoner and held at Rabaul. On 22 June 1942 Howard Pearson was one of an estimated 209 civilians and 845 POWs who embarked from Rabaul aboard the Japanese transport ship MV Montevideo Maru. The POWs were members of 2/22 Battalion, No. 1 Independent Company, and other units of Lark Force. Civilians included officials of the New Guinea Administration and missionaries. The ship sailed unescorted for Hainan Island. On 1 July 1942 all the prisoners died when the Montevideo Maru was torpedoed by a US Navy submarine, USS Sturgeon, off the coast of Luzon Island in the Philippines. On the left is Glen Gardner Pearson. He took over his elder brother's seat in Parliament in 1951 and was knighted in 1970. 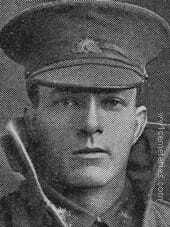 Spencer Pedder, D. C. M.
20th September 1917, aged 36. Son of Frederick and Sarah Blanche Pedder, of Collins St., Hobart, Tasmania. Native of Bellerive, Hobart, Tasmania. 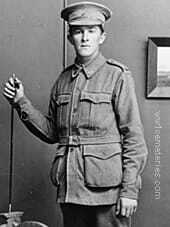 A labourer from Albert Park, Vic prior to enlistment, embarked with the rank of Private with the 2nd Reinforcements from Melbourne on HMAT Clan McGillivray on 2 February 1915. Promoted to Lance Corporal at Gallipoli, he was later awarded the Distinguished Conduct Medal in France "for conspicuous gallantry during operations when attending and removing the wounded. He organised stretcher bearers to replace casualties, cheering them on when they showed signs of exhaustion and setting a fine example." On 20 September 1917, aged 36, he died of wounds received in action. 28th September 1917, aged 19. Son of John and Catherine Pegram, of Bredbo, New South Wales. A labourer from Bredbo, NSW prior to enlistment, Pte Pegram embarked with the 8th Reinforcements from Sydney on HMAT Suevic on 11 November 1916. On 28 September 1917, aged 19, he died of wounds received in action at Polygon Wood. 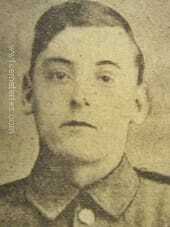 10th August 1916, aged 19. Son of Henry and Mary Jane Perry, of 17, St. John's Rd., Burnley. "I am very sorry indeed to tell you that your son, Pte. W. Perry died in hospital here at 6pm on the 10th of this month. He was admitted the day before suffering from the effects of gas poisoning. He was conscious for only a short time and was not suffering much, but was very weak and exhausted and unable to speak. I was with him and prayed with him and did all I could to comfort him. I told him I would write to you and he sent you his dearest love- That was his only message, very soon he became unconscious, and remained so till the end, next day, when in spite of all the efforts of the doctors and nurses he passed quietly away." 24th September 1917, aged 22. 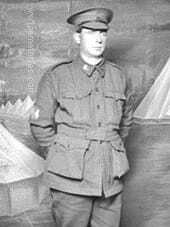 A clerk from Blumberg, South Australia, prior to enlistment in the 32nd Battalion as 327 Private (Pte) Blumberg, he embarked with C Company from Adelaide on 18 November 1915 aboard HMAT Geelong (A2) for Suez. 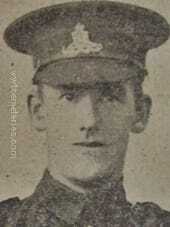 He was transferred to the 8th Machine Gun Company on 30 May 1916 and promoted to Corporal (Cpl) the next day. His unit relocated the Western Front, France, during June 1916. Cpl Pflaum was promoted to Sergeant on 1 September 1916. 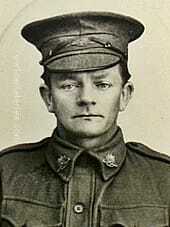 On 10 February 1917 he was transferred to the AIF Training Depot in England and promoted to Second Lieutenant. 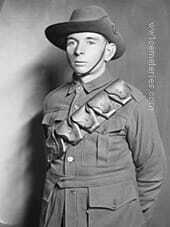 While in England he was transferred to the 25th Australian Machine Gun Company and then attached to the 3rd Training Battalion for bombing instruction and to the Revolver School where he qualified as Instructor. He embarked with his unit from Southampton on 7 September 1917 for France and then to Belgium. 2nd Lt Pflaum was wounded in action near Ypres, Belgium, on 24 September 1917 and died of these wounds later that day. He was aged 22 years. 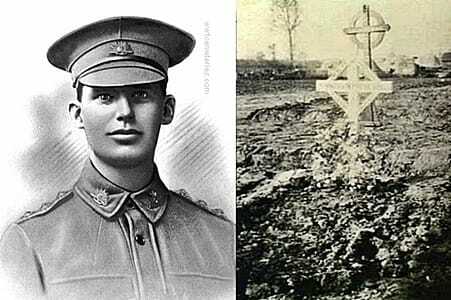 His brothers 1591 Captain Elliott Frederick Pflaum, 3rd Light Horse Regiment, returned to Australia on 6 May 1919 and 161 Private Raymond Holstein Pflaum, 32nd Battalion died whilst a Prisoner of War on 24 November 1916. 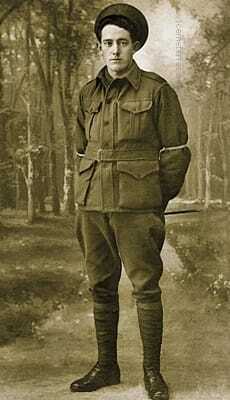 He is buried at the Fromelles (Pheasant Wood) Military Cemetery. 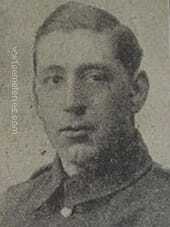 A third brother, Leonard Haddon Pflaum enlisted in late August 1918 but was discharged in December after the cessation of hostilities. 5th Bn. West Yorkshire Regiment (Prince of Wales's Own). 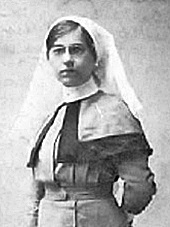 17th August 1915, aged 30. 10th August 1916, aged 35. Son of William Henry and Sarah Jane Phillips. Born Portsmouth. INSCRIPTION. WE MOURN FOR YOU DEAR BROTHER WITH HEARTS SINCERE WITH LOVING THOUGHTS. Died No 3 Canadian Casualty Clearing Station August 1916 gunshot wounds to the chest aged 35. 12th October 1917, aged 26. Son of Samuel and Carrie Catherine Phillips, of Drouin, Victoria, Australia. Native of Longwarry East, Victoria. An ironmonger from Glenferrie, Vic prior to enlistment, WO1 Pringle embarked with the rank of Corporal with the 4th Reinforcements from Melbourne on HMAT Shropshire on 20 March 1915. 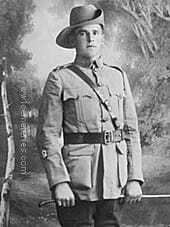 After being wounded at Gallipoli he was evacuated to Egypt and, after rejoining his unit, was promoted to Warrant Officer Class 1. On 16 October 1917, aged 23, he died of wounds received in action. 25th September 1917, aged 39. Husband of Mary Jane Procter, of 130, Knotts Lane, Colne, Lancs. 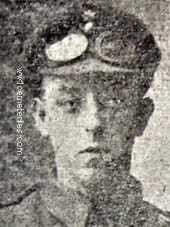 Born in Burnley, prior to enlisting, Harry was an Overlooker in Messrs. Pilling's Riverside Mill at Colne. 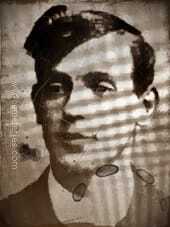 He was the youngest son of Henry Procter a well known Bread Baker of Oxford Road, Burnley. Harry had lived in Colne since his marriage to Mary Jane, they had 2 children. 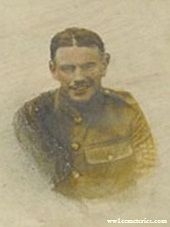 Harry received gunshot wounds on the 25th September 1917 and died later that day. Husband of Elsie Ralph, of 2, Piccadilly Rd., Burnley. Born Burnley. 4th October 1917, aged 28. Son of John Bryce Ralston and Elizabeth (his wife) of Wellcamp, Darling Downs, Queensland. Native of New Zealand. 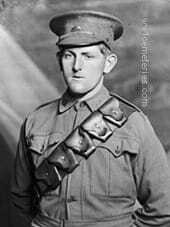 A native of Bulls, New Zealand, Gnr Ralston was a farmer from Toowoomba, Qld prior to enlistment and embarked with the 3rd Reinforcements, 21st Howitzer Brigade from Sydney on HMAT Ajana on 5 July 1916. On 4 October 1917, aged 28, he received wounds to the chest, face and arm from a shell burst, initially he was "conscious and cheerful" and not thought to be in any danger but his condtion deteriorated and he died later the same day. 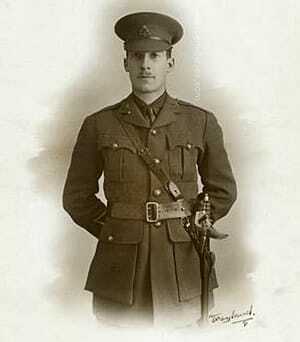 James Mansfield Reid, M. C.
30th October 1917, aged 29. Son of George Watson Reid and Lillias Margaret Reid, of "Clyde," Sackville St., Kew East, Victoria, Australia. Native of Williamstown, Victoria. "We were at Passchendaele on the 26th October, we advanced with a company of infantry up to the Railway Cuttings, we dug in there, and then we got blown out of it. Just as we were retiring, Lt. Reid was struck by a sniper's bullet. half a dozen of us brought him down to the Dressing Station and left him there. He died two days after. He was a splendid officer." The above image shows James Reid's original grave marker at Lijssenthoek, it is the higher of the two crosses. 27th October 1917, aged 21. Son of James and Emily Wells Robinson, of Badger Corner (Flinders Island), Tasmania. 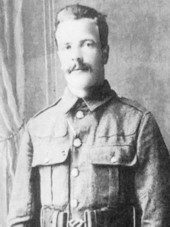 L. Cpl Robinson enlisted on 21 July 1916 and died of wounds. 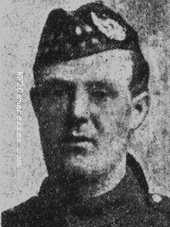 He was admitted to No.2 (Canadian) C. C. S. on 27 October 1917 with shell wounds, compound fractures of both legs, left arm and head, he died shortly after admission at 5.35.a.m. on the same day. 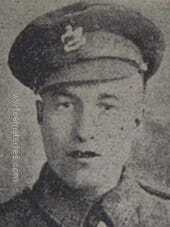 "He was badly knocked by a shell, he was in a pill box at Zonnebeke and the pill box was blown in on him." "He was in a very exposed position, unapproachable by day when he was hit and he lay there all day. they carried him out at night." Son of Jeffery Edmund Rogers and Catherine Rogers, of Bailey St., Westmead, New South Wales. 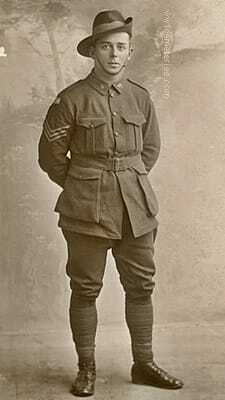 A carpenter before enlisting in September 1915, Pte Rogers left Australia for Egypt with the 4th Reinforcements in March 1916, and arrived in France for service on the Western Front in July 1916. Pte Rogers was a battalion runner during the attack on Polygon Wood when he received abdominal wounds from shell fragments. 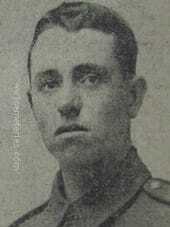 He was taken to the 10th Casualty Clearing Station at Lijssenthoek where he died two days later, aged 19. Son of George and Mary Jane Rokahr, of Dunolly, Victoria, Australia. A 21 year old labourer prior to enlisting on 17 May 1916, he embarked for overseas with the 21st Reinforcements from Melbourne on 2 October 1916 aboard HMAT Nestor. After being wounded in action in Belgium on 4 October 1917, he died of wounds that same day. 14th october 1917, aged 24. 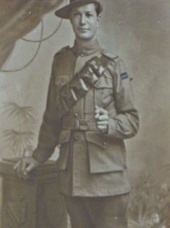 Son of Hugh and Celia Griffiths Ross, of Riverside, Tambo Upper, Victoria, Australia. 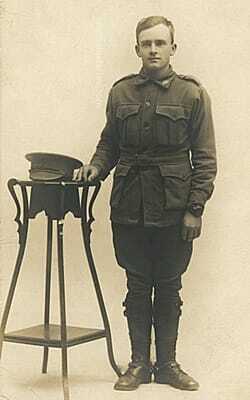 ​Sgt Ross enlisted on 9 August 1915 and embarked aboard HMAT Themistocles on 28 July 1916. On 14 October 1917 he was shot in the neck and lower jaw at Passchendaele in Belgium and died of wounds later the same day. From Granville, NSW. A labourer prior to enlisting, he embarked from Sydney aboard HMAT Euripides (A14) on 2 November 1915. He was wounded in action at Polygon Wood, Belgium on 26 September 1917 and died later that day at the 17th Casualty Clearing Station, Belgium, aged 23. 25th October 1917, aged 20. Son of Samuel Charles and Louisa Margaret Rundle, of 40, Goderick St., Inveresk, Launceston, Tasmania. 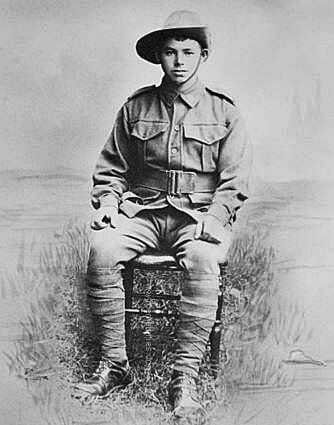 An 18 year old carpenter prior to enlisting on 1 October 1915, he embarked for overseas with the 2nd Reinforcements from Melbourne on 5 January 1916 aboard HMAT Afric. He served on the Western Front with the 22nd and the 5th Field Artillery Brigades and was wounded in action in Belgium on 23 October 1917. 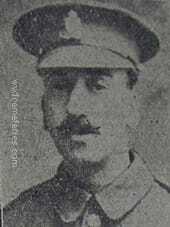 He died of wounds on 25 October 1917. 20th March 1916, aged 26. Son of Frederick John and Flora Runyeard, of 2, Rowden's Cottages, Sherfield English, Romsey, Hants. Son of Alfred and Emma Sargent, of 9, Stratford Square, Northgate, Wakefield, Yorks. Born Astley, near Leeds. John had just spent a short break at home and grandmother wanted to have a photograph of her three boys, John, Alfred and Harry. Harry was my father and he is standing to the left of John but on the right as you look at the picture. The smaller uniforms were made by my grandmother. Sadly on his return John was killed. 5th October 1918, aged 20. 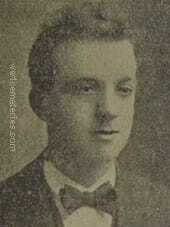 Born 28/04/1898, the son of Walter and Sarah Saye, of Great Wigborough, Tolleshunt D'Arcy, Essex. 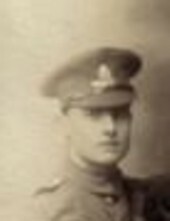 Brother of Ernest Saye, who is commemorated on the Thiepval Memorial, follow link for an image of Ernest Saye. Son of William George and Fanny Isabel Seabrook, of Great North Rd., Five Dock, Sydney, New South Wales. His brothers George Ross Seabrook and Theo Leslie Seabrook also fell. 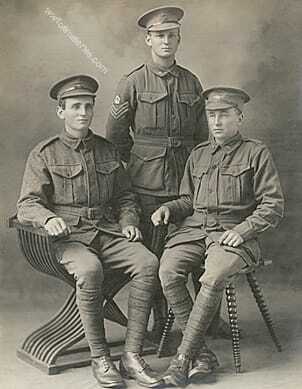 The Seabrook brothers; 6147 Private, Theo Leslie Seabrook (L), Second Lieutenant, William Keith Seabrook (C) and 6174 Private, George Ross Seabrook (R). Theo and George were killed in action near the Menin Road on the 20th September 1917, William died of wounds received nearby the following day. 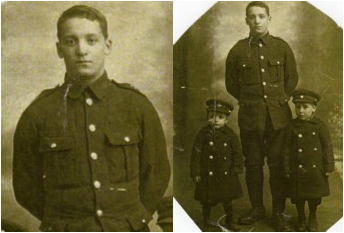 The Seabrook brothers, Theo (25), George (24) and 20 year old William (Known as Keith) all joined up together in August 1916, joining the 17th Battalion. William had previously tried to join up in 1915 but was discharged almost immediately. By the time the brothers reached Belgium it was June 1917, they would first see action together in the Battle of the Menin Road which commenced on 20th September 1917. Tragically their first battle would also be their last, all 3 brothers were to die within 24 hours of each other. Theo and George were killed in action on the first day of battle and although witnesses recall seeing the grave of one of the brothers close by the Menin Road, sadly, today neither man has a known grave and both are commemorated on the Menin Gate Memorial, William Keith Seabrook is buried at Lijssenthoek Military Cemetery, close to the site of the hospital where he died. The Battle of the Menin Road was an offensive operation which was part of the Third Battle of Ypres, it's objective was to take sections of the ridge east of Ypres which were crossed by the Menin Road. This operation would see the first use of Australian troops in Third Ypres. The Seabrook brothers were part of the 17th Battalion of Australian Infantry and were to a part of the initial attack. Ultimately the attack was successful, although the two A. I. F. divsions which took part (1st and 2nd) sustained over 5000 casualties, including the deaths of the three Seabrook brothers. "Sept. 19th - Troops left at midnight for the firing line, Keith (Lieut. Seabrook) very pale and anxious, took his equipment, then, a final handshake, very spontaneous and affectionate. 20th Sept - Hop over this morning; 7.a.m. Corporal Allport and 3 others return slightly wounded and say objectives gained brilliantly. Keith wounded." "We were going up the line to join the platoon of Lewis Gunners and a shell dropped right over Lt. Seabrook and got about 7 men. He was killed outright, I only pulled out one man and all his clothes were burnt. 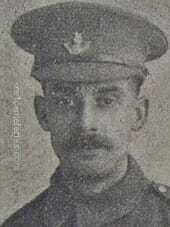 The other 6 were dead including Lt. Seabrook we were on the Menin Road near Ypres." "He was wounded on the night of the 19th/20th September whilst going into the line, I personally dressed his wounds but they were of such a nature that I do not think it advisable to let his people know what they were. He was taken away and reached the 10th Casualty Clearing Station, where he died and he was buried in the soldiers cemetery attached." "I saw him wounded just on the right of a place called Hellfire Corner, he was caught by a shell." The commanding officer of No.10 Casualty Clearing Station later confirmed that Keith Seabrook died from multiple shell wounds. His body was buried in the cemetery adjacent to the hospital. "We arrived at rest camp near Poperinghe and boys tell me Keith was seriously wounded by a phosperous shell (which also knocked out 8 of his men) about a mile beyond Hellfire Corner on the way up to Glencorse Wood, just before they struck the duckboards. Captain Allan, our O. C. sent for me and told me Keith was dead and was buried on the 21st in the military cemetery at Poperinghe. I went straight away to Poperinghe and found that Keith died at the 6th Clearing Station close by. I returned and asked for Capt. Allan who asked for the parents' address. He wrote a letter of condolence and sympathy as also did our chaplain. The following day I went to the cemetery and was shown the grave by the corporal, our own boys filled it in." The circumstances surrounding of the deaths of Theo and George are somewhat uncertain, many men gave differing versions of the incidents, some said Theo and George were killed together, others that they were all killed in separate incidents and there were those that said all 3 brothers were killed in the same incident. Investigation of the casualty reports disproves the latter theory, with many men telling of witnessing the older boys deaths after the commencement of the battle (7.a.m.). By this time Lieutenant William Keith Seabrook wounded at midnight would have already been on his way to hospital at Poperinghe. "I saw him killed by a shell in the front line at Zonnebeke. He was killed at the same time as his brother. (Theo)"
"I knew them both well, on the 20th September at Zonnebeke, one was going into the line and the other was coming out, - at night, when a shell burst and killed both of them, death was instantaneous and they were given a field burial." 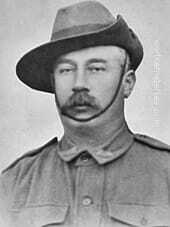 "I saw one of the Seabrook's lying dead, killed outright by a shell, up past Anzac House on the front line. He was there when I came out. I saw Lieutenant Seabrook wounded, I was alongside him, he was taken to the 3rd C. C. S. and died there. It was the third brother who told me that the private lying dead was his brother and I then told him of the Lieutenant and the last I saw of the third brother was going up towards the Lieutenant. I believe he was killed there also." "The battalion was at Anzac House, Polygon Wood, in action. We hopped over at about 7.a.m. When we had reached our objective and were consolidating the position I was with George Seabrook, a brother of T. L. Seabrook, when George, who was himself killed later on pointed out his brother T. L. Seabrook's body lying on the ground, he had been killed by a shell, his brother Lt. W. K. Seabrook had been killed still earlier in the day and the Lieutenant had been my officer." It would appear that after they had discovered Theo's body and learning that his youngest brother was badly wounded, George Seabrook set off in search of him. Sadly he was also killed before he could reach him, becoming the third brother to be killed or mortally wounded within a few hours. "I knew two brothers called Seabrook, one of them was killed instantaneously beside me on Sept. 20th in front of Ypres. The 18th Bn. had taken Anzac House and we were advancing from there. The Germans were putting up a very heavy barrage and we were consolidating our position. Sergeant Eric Powell helped me to lift him up on to the Parados, we were relieved the next morning and the trench where he fell was deserted altogether, I cannot say whether his initials were G. R. or T. L., the brother I mean was the taller of the two. The other brother was killed on the same day but I did not see him." Taking into account both Andrew Marshall's statement and also that of Sgt. 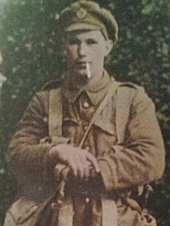 Troupe, it would appear that it was Theo who was first to be killed in the trench. Private Marshall's description of being with George when they found Theo's body is corroborated by Sgt. Troupe mentioning that the body he helped remove from the trench was the "taller of the two." George Seabrook is believed to have been around about 5ft 4' whilst Theo was taller at around 5ft 7'. 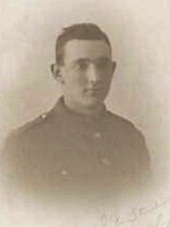 Private Andrew Marshall, who had been present at the wounding of Lt. Seabrook and the death of at least one other of the brothers suvived the war. "I saw the three brothers knocked, two killed outright and one wounded and died after by the same shell about 1.30.a.m. as we were going up just to the right of Hellfire Corner, there was no time to bury them. I was amongst it myself and saw the shell, a phospe. (rous) shell which lit up the ground so we could see everything. There were dozens killed or wounded by that shell and I saw the two Seabrook's dead and the third lying wounded." So what did actually happen? 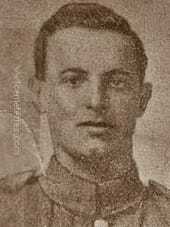 Taking into account the many eyewitness accounts, it appears that at approximately midnight on the night of 19th/20th September 1917, Lt. William Keith Seabrook, the youngest brother was leading his men into the support trenches when a phospherous shell exploded above them. He was seriously wounded and another 7 of his men were either badly wounded or killed outright. The other two brothers, Theo and George appear to have been unaware that their younger brother was mortally wounded and went over the top at 7.a.m. on the morning of the 20th, they helped their battalion take their objectives and consolidated in the area around Anzac House, a concrete shelter in Polygon Wood. It was here that George discovered the body of Theo and apparently learned that his youngest brother had also been mortally wounded, he set of back to try to find him but somewhere along the way he was killed, there do not appear to have been any witnesses to his actual death. Of course it is possible that both the older brothers were killed by the same shell as some witnessess state, though the evidence does point to the above circumstances being closer to the truth. Whatever the true facts of that fateful few hours are, William and Fanny Seabrook, back in Five Docks had lost 3 sons. The grieving parents received official notification of the death of Keith but news of both Theo and George was harder to come by, witness reports were, as can be seen from the text above both contradictory and unclear. 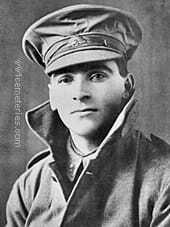 Eventually news reached Australia that Theo was dead, although sadly his body was never found, the field burial that he received was no more than his body being flung into one of the many shell holes littering the battlefield, where it probably still lies to this day. As no definitive news of George was received despite numerous letters to the Australian authorities requesting information on her son, his mother continued to harbour hope that he would still return home, of course this was not to happen and George's body probably still lies undiscovered close by that of his older brother, Theo. Should their unidentified bodies have been re-interred after the war, it is likely that they lie in one of the many unidentified Australian graves in the military cemeteries which surround the old battlefield near to Polygon Wood. 23rd October 1917, aged 27. Son of Eli and Ann Seeney, of 24, Padiham Rd., Burnley. 4th July 1917, aged 28. 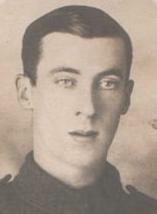 Prior to enlisting Frank played football for both Preston North End and Nelson FC. 15th October 1918, aged 25. Son of Charles France Shells and Elizabeth Shells. Born Armitage Bridge, Huddersfield. Son of Frederic Shippey, of Pietermaritzburg, Natal. Native of South Africa. 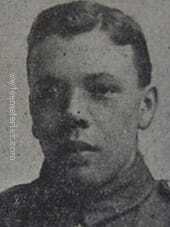 His brother, James Reginald Shippey also fell on 14th October 1914 and is buried in the Bethune Town Cemetery. 13th July 1917, aged 26. Husband of Harriet Shotton, of 35, Robinson St., Burnley. 4th June 1917, aged 36. Son of T. Simpson, J.P., of Hapton, Burnley, Lancs; husband of Ann Simpson, of "The Corners," Rossall Beach, near Fleetwood, Lancs. 2nd August 1917, aged 20. Son of James and Caroline Skittles, of 165, St. Leonard's Rd., Spital, Windsor. Picture courtesy of Heather (Skittles) Wiley, great niece. 21st August 1917, aged 26. Daughter of George and Elizabeth Spindler, of Wakefield. One of only two female casualties of the Great War buried in Belgium. Son of Hartley and Elizabeth Ann Starkie; husband of Hilda Latham (formerly Starkie), of 38, Eldwick St., Burnley. Son of Edmund and Mary Staveley. 28th August 1917, aged 25. Son of John and Elizabeth Stephenson, of 26, Sackville St., Brierfield, Burnley. 19th October 1917, aged 27. Son of William Robinson Stephenson and Elizabeth Ann Stephenson, of Kainton, South Australia. A farmer from Kainton, South Australia, prior to enlistment, he embarked with the 5th Reinforcements from Adelaide on 21 September 1916 aboard HMAT Commonwealth (A73) for Plymouth, England. On arrival at the 13th Training Battalion he reverted to the rank of Private (Pte) and then joined his battalion on the Western Front, France, in mid-December 1916. Pte Stephenson was wounded in action at Broodseinde Ridge, Belgium, on 17 October 1917 and died of these wounds two days later. He was aged 27 years. 29th September 1917, aged 20. Son of George and Elizabeth Stevens, of Rookwood, Warwick, Queensland. 22nd April 1918, aged 25. ​Son of Benjamin and Mary Stockdale. Native of Australia. 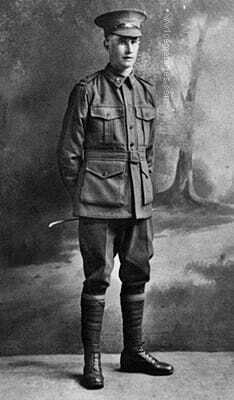 A 44 year old driver from South Yarra, Melbourne, Victoria prior to enlisting on 22 March 1916, he embarked for overseas with the 4th Reinforcements from Melbourne on 16 August 1916 aboard HMAT Orontes. After further training in England, he joined the Battalion in France in November 1916. He was wounded in action near Zonnebeke, Belgium on 11 October 1917 and died from his wounds the next day. 10th July 1918, aged 22. Son of Harry and Emma Stow, of 13, Havelock St., Blackpool. Born Burnley. 4th October 1917, aged 31. 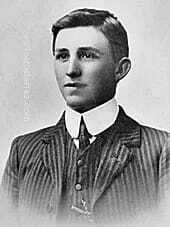 Son of Martha and the late James Sutherland, of Gilbert St., Gilberton, Adelaide, South Australia. Native of Adelaide, South Australia. A 26 year old electrician prior to enlisting on 25 August 1914, he embarked for overseas with D Company from Adelaide on 20 October 1914 aboard HMAT Ascanius. After being wounded at Gallipoli on 14 July 1915, he was evacuated to Malta and then to England for medical treatment. Following recovery and further training in England, he re-joined the 10th Battalion in France on 20 August 1917. 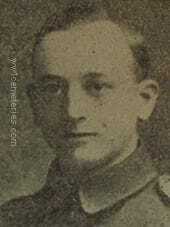 He was wounded in action on 3 October 1917 at Westhoek Ridge, Belgium and died of his wounds the next day. From Coleraine, Victoria. 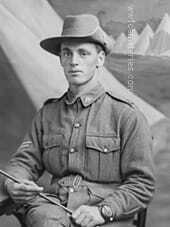 Pte Taylor enlisted in on 4 March 1916 and served on the Western Front with the 8th Battalion. He was was fatally wounded during the Battle of Menin Road and died on the 20 September 1917. Son of Henry Templar and Edith Croft Templar. Native of Sulphur Creek, North West Coast, Tasmania. A farm hand of Sulphur Creek, Tasmania. 1078 Trooper Templar embarked on 17 June 1915 with the 3rd Australian Light Horse Regiment. He subsequently transferred to the 1st Field Artillery Brigade with the service number 1078A. On 15 October 1917, he received gun shot wounds to the shoulder and legs and died of these wounds at the 10th Casualty Clearing Station in Belgium. 24th August 1915, aged 23. Son of Thomas and Margaret Thornton of Skipton, Yorkshire. The following information is credited to Mr Steven Howarth who has researched former Ermysted’s Grammar School (Skipton) pupils for his book: 'A Grammar School at War - the Story of Ermysted's Grammar School during the Great War'. Please click here. Private Thornton’s battalion was posted to the Ypres area of Belgium in July 1915, where they would perform routine trench duty. On 15th August 1915 the different companies of the battalion were sent out to a series of farms in Brigade reserve. Private Thornton’s ‘A’ Company was sent to Modder Farm, which was 1000 yards to the West of the Yser Canal. Here they spent a very quiet day before proceeding to the more dangerous Canal Bank ‘support’ trenches in the evening. “Thornton’s case was the hardest bit of luck I have ever known. To be hit once with every chance of getting better, and then a second time – mortally, is terrible”. Private Thornton’s platoon commander and former Master at school, Lieutenant Supple, wrote to his family immediately reassuring them that “everything possible is being done for him”. He was taken to the 10th Casualty Clearing Station at Lijssenthoek, West of Ypres, on the main route to Poperinge. A week later, on the 24th August, he died. He had served just 133 days with the British Expeditionary Force on the Western Front. Picture courtesy of Jill Clayton French, great niece. 5th November 1917, aged 22. Son of Thomas Henry and Agnes Tresize, of 63, Canterbury Rd., Whitstable, Kent, England. Native of Epsom, Surrey, England. From Sydney, NSW (originally a merchant seaman of Epsom, Surrey, England). Pte Tresize enlisted on 11 December 1915 and embarked aboard HMAT Nestor on 9 April 1916 with the 11th Reinforcements. 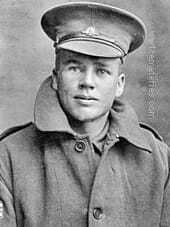 He died of wounds sustained during the Battle of Passchendaele, Belgium, on 5 November 1917, aged 22. 24th December 1916, aged 33. Husband of Ethel Trim, of Upton Noble, Bruton, Somerset. On 22 December the Company was relieved and began to move out of the trenches for rest at Erie Camp, west of Ypres. As it moved through the ruins of Zillebeke around 6pm. Heavy shellfire fell and it is assumed this is where Samuel was wounded. He was evacuated to the CCS at Remy Farm in the hamlet of Lijssenthoek. 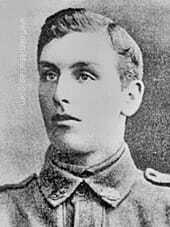 There Samuel succumbed to his wounds on 24 December 1916. Son of James Douglas Percy and Margaret Tucker, of 146, Grant Avenue, Toorak, Adelaide, South Australia. Native of Adelaide. 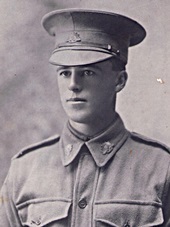 Private JAMES ROLAND TUCKER, second son of Mr. and Mrs. J. D. P. Tucker, of Grant avenue, Toorak, died at the 17th Casualty Clear- ing Station from multiple gunshot wounds. He left his farm in 1915 to enlist, and after three unsuccessful applications he was accepted. He left Adelaide on October 23. 1916, shortly after recovering from a severe attack of meningitis, after training in England he went with the 50th Battalion to France, where he joined the machine gun section. 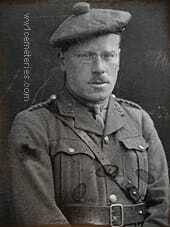 He went -through the battle of Messines unhurt, but on August 26 received a gunshot wound in the leg. He made speedy recovery, and on September 9 was "quite well again and as fit as ever." 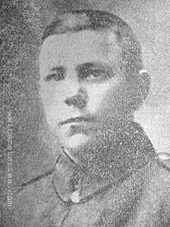 A younger brother, Private W. C. Tucker, of the 32nd Battalion, was killed at Pozieres on July 20, 1918 Another brother. 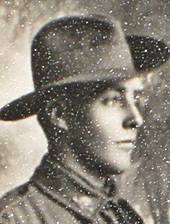 Lieutenant F. G. Tucker, of the 43rd Battalion, was severely wounded on August 1. Note: His brother W. C. Tucker was not killed at Pozieres (officially listed as "missing" until 2010) but was identified (from DNA of relatives) in 2010 among the dead at Fromelles, France. Son of Margaret and the late Wesley Johnstone Vance, of Dumaresque St., Campbelltown, New South Wales. Native of Kangaroo Valley, New South Wales. Pte Vance embarked from Sydney on 3 November 1916 aboard HMAT Afric A19 with the 11th Reinforcements. He died of wounds on 30 September 1917 at Poperinghe, aged 25. 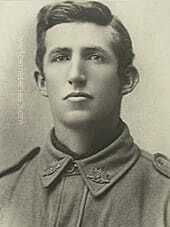 ​1st October 1917, aged 27. Son of Elizabeth Ann Verdon, of 66, Maitland Rd., Mayfield, New South Wales Native of Breeza, New South Wales. A tailor prior to enlisting in April 1916, Pte Verdon embarked from Sydney with the 3rd Reinforcements on board HMAT Anchises (A68) on 24 August 1916. After further training in England he arrived in France for service on the Western Front on 21 December 1916. On 1 October 1917, Pte Verdon, a stretcher bearer, was wounded in action by a shell at Zonnebeke, Belgium. He died in the early afternoon at the 17th Casualty Clearing Station. For the work he did that day, Pte Verdon was recommended, by his lieutenant, for the Military Medal but it was not awarded. He was 27 years of age. 28th October 1917, aged 22. Son of Richard and Mary Ann Wainwright, of Yeaton, Baschurch, Salop. This photograph was in my Grans house when l was a child. He was her brother. Rest in Peace Great Uncle Billy. Picture courtesy Roy Davies. Shrewsbury. 9th November 1917, aged 26. Son of George Frederick and Mary Ellen Walsh, of Simpson St., Auburn, New South Wales. of Granville, NSW. A labourer prior to enlisting, he embarked from Sydney aboard HMAT Euripides (A14) on 9 September 1916. He was wounded in action while manning a Lewis gun at Passchendaele, Belgium on 9 November 1917 and died later that day at the dressing station, aged 26. Son of John Joseph and Annie Elizabeth Walsh, of Welbar Rd., Drouin, Gippsland, Victoria, Australia. A 28 year old farmer prior to enlisting on 25 October 1916, he embarked for overseas with 18th Reinforcements from Melbourne on 23 November 1916 aboard HMAT Hororata. 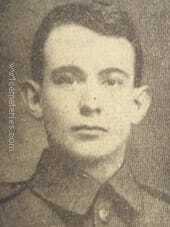 Pte Walsh died of wounds at the 3rd (Canadian) C. C. S. at 2.30.p.m on 9 October 1917. "I helped to carry him to the Dressing Station at Westhoek Rodge on the October 6th 1917, he was badly hit in the side by shrapnel and wanted me to shoot him, he was in such great pain. He was conscious when I left him at the Dressing Station." 27th March 1917, aged 21. 27th September 1917, aged 23. 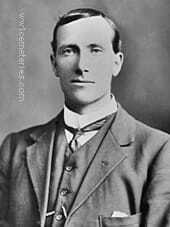 Son of Winter David and Margaret Wallace Warden, of "Airlie," Milton, New South Wales. Native of Milton, New South Wales. A grazier prior to enlisting in August 1914, Private Warden embarked from Sydney on board HMAT Star of Victoria (A16) on 20 October 1914. 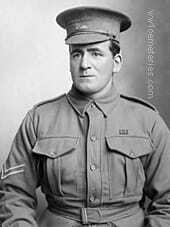 He was promoted to the rank of Corporal on 11 August 1915 at Gallipoli, and to Sergeant while serving in Egypt in January 1916. He arrived in France for service on the Western Front in March 1917 and was transferred to the 56th Battalion. 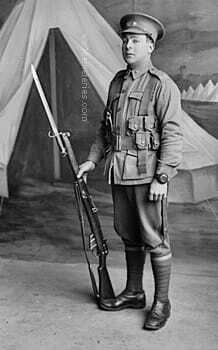 In July 1917 he was promoted to the rank of 2nd Lieutenant (2nd Lt). On 27 September 1917, 2nd Lt Warden died of wounds received in action at Polygon Wood, Ypres, Belgium. He was 23 years of age. An eyewitness saw him hit in the abdomen by a piece of shell "to the left of the big mound in Polygon Wood." He believed he had been killed outright but this was incorrect. Another remembered seeing him wounded in a shell hole. 2nd Lt. Warden was taken to the Canadian C. C. S. at Poperinghe, where he later died. 9th September 1917, aged 20. 8th October 1917, aged 16. Son of Edwin and Margaret West, of Darleyoak, Rylstone, New South Wales. Native of Sydney, New South Wales. From Leichhardt, NSW. Believed to have been born in February 1901, LCpl West enlisted on 13 May 1916 at the age of fourteen years and eight months. He claimed to be eighteen years and one month and his application to enlist claims a document recording his parents' consent was produced. He embarked on the HMAT Ceramic on 7 October 1916 and fought for eight months in the trenches where he won his promotion to Lance Corporal, aged sixteen. He was wounded on 3 May 1917 and returned to the trenches a week later. On 8 October 1917 he died of wounds in Belgium at the 2nd Canadian Casualty Clearing Station, one month after his sixteenth birthday. 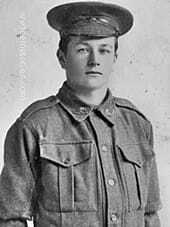 A labourer from Newmarket, Victoria prior to enlistment, Pte West trained as a signaller and embarked with the 15th Reinforcements from Melbourne on HMAT Shropshire on 25 September 1916. Later wounded in action with a gun shot wound to the buttock he was evacuated to England. Following his recovery he rejoined his unit and was wounded in action for the second time. On 8 October 1917 he succumbed to his wounds. 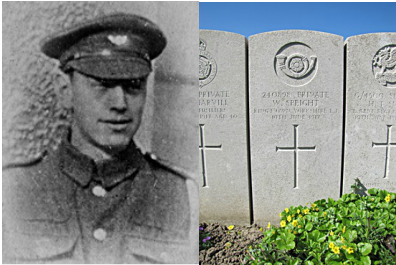 He was admitted to the 2nd (Canadian) C. C. S. at Poperinghe on 8th October with wounds to his hand, right arm, both legs and left chest. He died at 2.p.m. that same day. 3rd October 1918, aged 18. Son of Mr. and Mrs. Walter Whitaker, of 60 Hulme Street, Burnley, Lancs. His father also served. 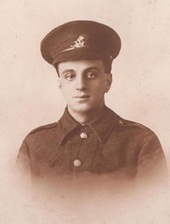 7th January 1918, aged 18. 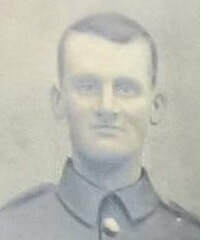 Son of Hitchon and Emma Whitehead, of 49, Francis St., Burnley. 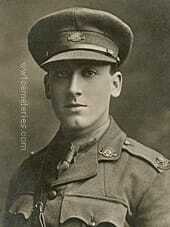 John Wilkinson, D. C. M.
17th September 1917, aged 23. Son of David and Mary Ellen Wilkinson, of 117, Healey Wood Rd., Burnley. Posthumously awarded the D. C. M. for rescuing under machine-gun and shell fire a dozen men in April 1917, initially he was expected to receive the Victoria Cross but this was not to be. He was killed when he was hit in the chest by a bullet from an enemy aeroplane. 10th September 1916, aged 22. 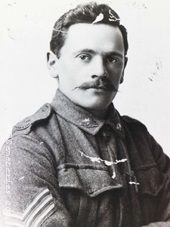 James Williams enlisted at Broken Hill, NSW, on 18 February 1915. He died of wounds on 10 September 1916, aged 22. 23rd July 1917, aged 34. Son of Hannah Wilson, of 30, South St., Park Rd., Dingle, Liverpool. 5th April 1916. Aged 35. Son of Samuel Wilson and Eliza Kennedy Wilson, of Main St., Cullybackey, Co. Antrim, Ireland. 26th September 1917, aged 19. From Bews, South Australia. 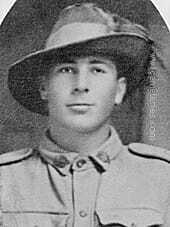 An 18 year old farmer prior to enlisting on 1 September 1916, he embarked for overseas with the 19th Reinforcements of the 27th Battalion from Adelaide on 24 January 1917 aboard HMAT Miltiades. While undergoing further training in England, he transferred to the 50th Battalion, joining the battalion in Belgium on 25 August 1917. 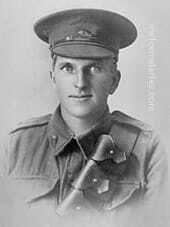 After being wounded in action at Westhoek Ridge, Belgium on 26 September 1917, he died of wounds that same day.